DaystarSuspensionParts.com is an authorized dealer of the Daystar Brand of Suspension Parts. All Daystar products come with a lifetime warranty backed by the manufacturer that covers any defects in materials and workmanship of their suspension parts. Every Daystar product we stock and sell to our customers is in brand new condition and is purchased directly from Daystar’s factory in Phoenix, Arizona. We never sell knock-off suspension parts, so you are guaranteed to receive only Daystar’s “Made in the USA” high quality products when you purchase from us. We carry Daystar as part of our in-house stock so these products are ready to be immediately shipped out to our customers. Under the circumstance that we do not stock a Daystar product, we work with the manufacturer to ship direct from their factory to your door. Daystar products that are out of stock in our warehouse will never be substituted for parts from another brand. 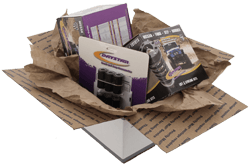 Diverse Suspension Technologies, or DST, is a wholesale warehouse distributor of Daystar and maintains the DaystarSuspensionParts.com website. DST operates a warehouse, stocked with over a half million dollars in suspension parts, in Stephenville, TX and has been in business since 2003. DST focuses solely on providing suspension products as an automotive parts dealer. 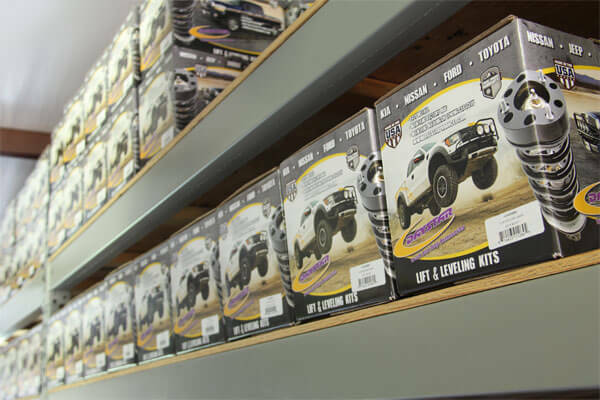 Working in this niche market means we can provide better service and more products from every major brand than any other suspension seller in the world.